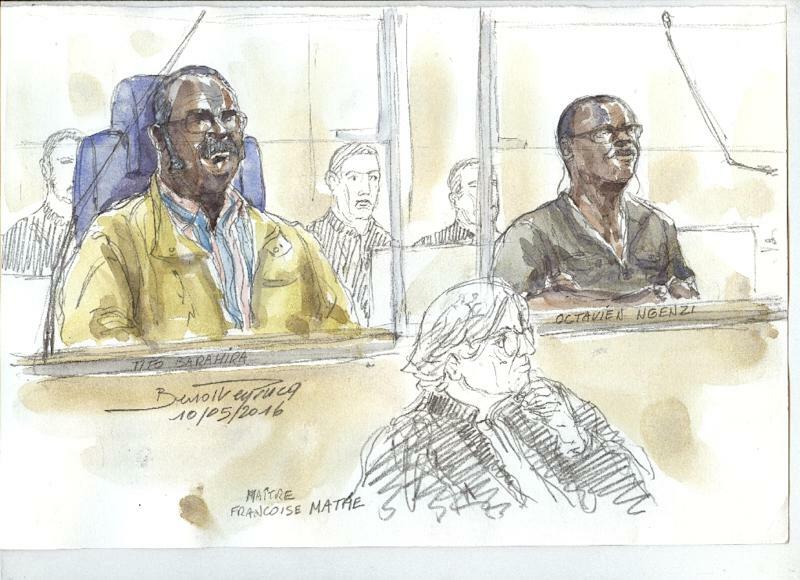 Paris (AFP) - A French court on Friday upheld life sentences for two former Rwandan mayors for taking part in the massacre of hundreds of ethnic Tutsis during the country's 1994 genocide. Octavien Ngenzi, 60, and Tito Barahira, 67, had launched an appeal after they were found guilty in 2016 of crimes against humanity, genocide and summary executions in their village of Kabarondo. Relatives of the pair sobbed quietly as the ruling was read out in court, while Ngenzi and Barahira listened in silence. They will have five days to decide whether they will appeal the ruling again to a higher court. "This decision is just and sends a message: no to impunity for all those who took part in the genocide and who thought they could find refuge in France," said Alain Gauthier, head of a group which has pushed for French investigations into the genocide. Some 2,000 people seeking refuge in a church were hacked to death in Kabarondo during seven hours of carnage, among some 800,000 people killed during the genocide by Hutu extremists. Ngenzi and Barahira's were the stiffest genocide sentences ever handed down by a French court, after former Rwandan army captain Pascal Simbikangwa received 25 years in solitary confinement in 2014. All three were arrested in France and judged under universal jurisdiction which permits states to rule on serious crimes regardless of the suspect's nationality or where the wrongdoing was committed. Ngenzi and Barahira had denied the charges that they acted as "supervisors" and "executioners" in the massacre. Ngenzi has been in custody since 2010 when he was captured in the French overseas department of Mayotte off the east coast of Africa, where he had been living under a false name. The genocide has been a source of tension between France and Rwanda for decades. Rwanda has long accused France of complicity in the mass killings through its support of ethnic Hutu forces who carried out most of the slaughter. France has admitted it made mistakes but insists it never had a role in the massacre. It had previously also been accused of dragging its feet over prosecuting cases.